Joe Purshouse is a lecturer in criminal law. His main areas of interest broadly focus on the human rights of those subject to the criminal process, with a particular focus on privacy. His PhD research examined the extent to which the privacy interests of those subject to the criminal process are recognised and afforded adequate protection in England and Wales. 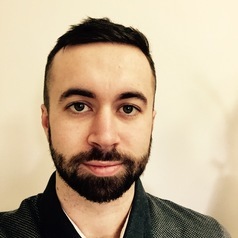 Joe joined the School of Law in 2016 having previously worked at the University of Nottingham and the Sheffield College as a module tutor in criminological theory, researching criminology, and the criminal justice system. he completed his MA Socio-legal and Criminological Research and his LL.M Criminal Justice at the University of Nottingham. Under the supervision of Professors Paul Roberts and John Jackson, he completed his doctoral studies in 2017. Joe has published in leading law journals, including the Modern Law Review, Criminal Law Review, and Cambridge Law Journal.